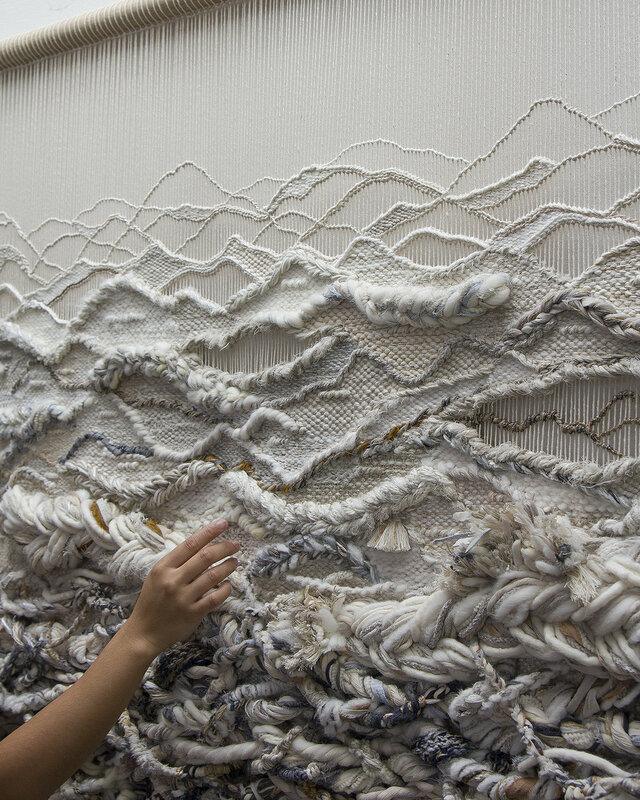 Crossing Threads® is the collaborative work of Lauren and Kass Hernandez, Australian-born sisters of Filipino heritage based in Sydney. 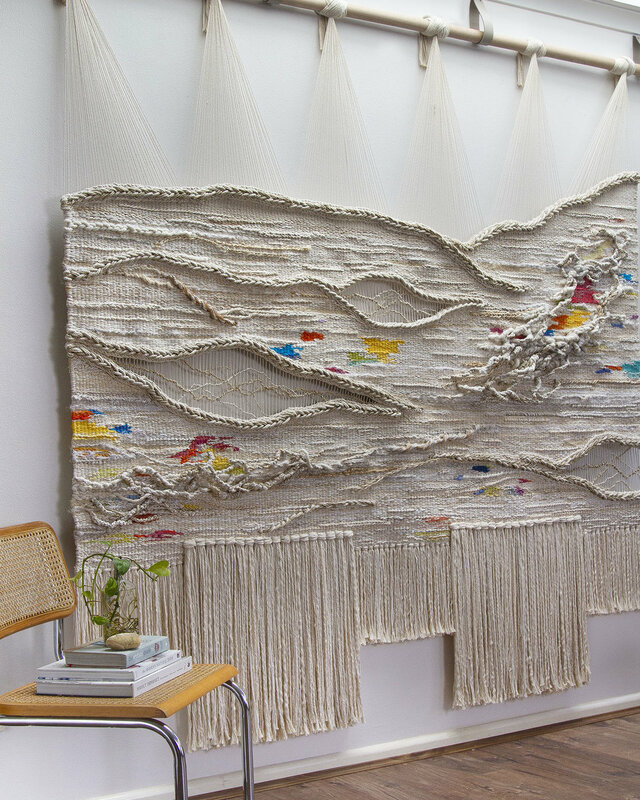 The sister-duo creates handwoven fibre art that is distinctively highly textural, organic and intricate. Each piece is an extension of their dual personalities and contrasting abilities. 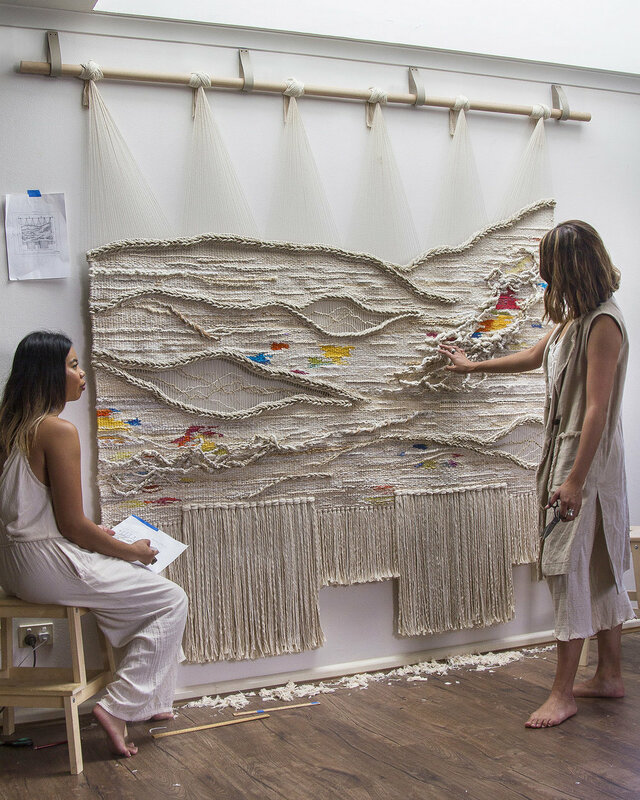 Heavily inspired by the beauty found in Mother Nature and the Australian landscape, the sisters aim to cross the boundaries of woven wall art by experimentation and use of sustainable fibres. 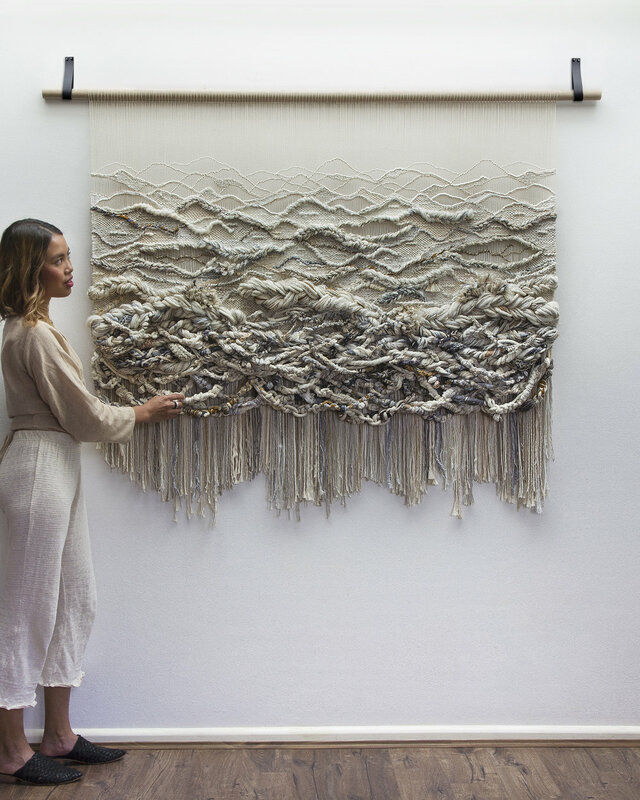 Their carefully curated fibre selections involve Australian Merino wool, plant-based fibres, up-cycled fabrics, roping and other foraged items that aren’t traditionally used in fibre art. 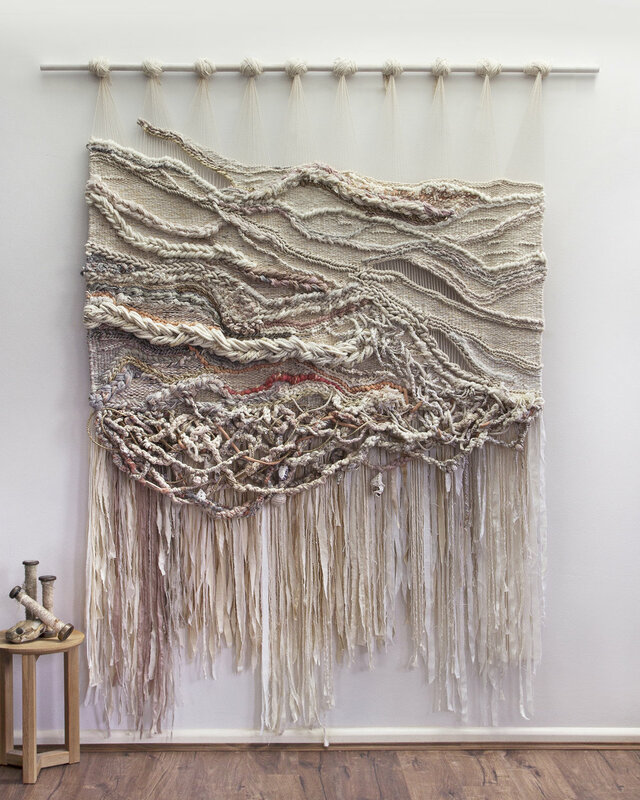 Their practice has led them to develop their recognisable ‘interknot’ technique, made up of intertwining hand knotted chains of varying texture and thickness which graduate to a relief. 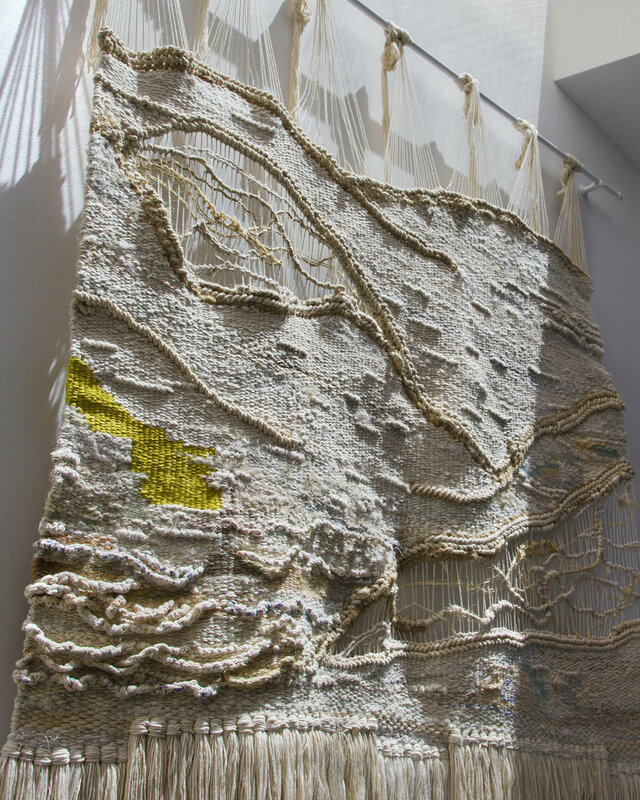 For both Lauren and Kass, to 'cross over' is the ability to transcend barriers whether they be geographical, cultural or in age. Your information will always remain private and will not be shared. We promise to only deliver relevant news and updates.